Is it possible to relax in the dentist chair? sedation dentistry is the answer. Learn how sedation dentistry can ensure you have an exciting dental experience at our office in Chula Vista. Sedation dentistry uses medication to provide you with a relaxing and anxiety-free experience as you undergo your dental treatment. Dentists offer sedation dentistry to patients to ensure you receive safe, comfortable and the much needed peace of mind during your dental visit. Sedation dentistry involves the use of sedatives to establish an easy, calm and relaxed state of mind. The sedative drugs are administered either via intravenous (IV) sedation or oral sedation. 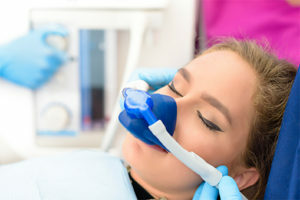 The most common sedation technique in use today is oral sedation dentistry. This technique is safe, highly effective and requires no needles. The sedation works so well that you do not even remember the visit; the comfortable experience makes you feel like you slept through the treatment. During sedation dentistry, a local anesthetic may be applied in your mouth to block pain impulses from the affected tissues gums. Is Sedation Dentistry worth it? Sedation dentistry is important because it addresses the anxiety that comes with dental visits. Complex dental procedures can be performed effectively without having to schedule several appointments. The experience makes you feel like the dental procedure only lasts a few minutes when in reality it might have taken hours to accomplish. sedation dentistry is the best way to achieve your dream smile if you have fears that keep you from going to the dentist. Our sedation dentistry in Chula Vista gives you the opportunity to receive recommended routine care so that you can improve your oral health. Is Sedation dentistry similar to sleep dentistry? No. contrary to popular belief that sedation dentistry is the same as sleep dentistry, it is not. The truth is you do not sleep during sedation dentistry, but the effects produced by the sedative may make you feel sleepy. In fact, sedation dentistry aims at keeping you awake throughout the entire procedure as you feel relaxed and calm. Dr. Deanna Risos is the best sedation dentist in Chula Vista, CA committed to offering relaxing, effective and comfortable experience when you undergo dental treatments in Chula Vista. When you come from sedation dentistry at our conveniently located offices in Chula Vista, Dr. Deanna Risos will examine your dental problems so as to select the sedation dentistry option that is best suited for you. If you’re anxious or apprehensive about routine dental visits, consider sedation dentistry for relaxing and comprehensive treatment. Contact best sedation dentist in Chula Vista, Dr. Deanna Risos to discuss any aspects of sedation dentistry today.